Dr. James W. Cronin was one of America’s most renowned nuclear physicists and a Nobel Prize recipient. He served as Spokesperson Emeritus of the Pierre Auger Observatory. His collaboration with Dr. Alan A. Watson to design and build a large-scale array to study cosmic rays was instrumental in the founding and creation of the observatory. Dr. Cronin began his career working at the Brookhaven National Laboratory and later joined Princeton University as a professor. At Princeton, Dr. Cronin and nuclear physicist Val Fitch developed studies that eventually resulted in the groundbreaking discovery of CP violation in the decays of neutral kaons. This research later resulted in the 1980 Nobel Prize in Physics for both Cronin and Watson. After the discovery, Dr. Cronin spent a year in France at the Centre d’Etudes Nucleaires at Saclay. He returned to Princeton to continue studying the neutral CP violating decay modes of the long-lived neutral K meson. In 1971, he moved back to the University of Chicago to become a full professor and continue research that benefited from the capabilities of the new 400 GeV particle accelerator being built at Fermilab. At the University of Chicago, Dr. Cronin began a long series of experiments on particle production at high transverse momentum. He then took a sabbatical at CERN in 1982-83 where he did his last experiment, a measure of the lifetime of the neutral pion. In 1992, Dr. Cronin and Dr. Watson proposed the project for studying cosmic rays that resulted in establishment of the Pierre Auger Observatory, which was officially completed in 2008. Cronin received the Ernest Orlando Lawrence Award in 1976 for major experimental contributions to particle physics. In 1999, he was awarded the National Medal of Science. 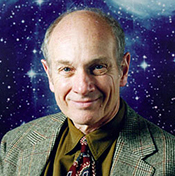 Dr. Cronin received his doctorate in physics from the University of Chicago and was a Professor Emeritus of Physics and Astronomy & Astrophysics.